A typical cause for this is that the engine flywheel brake (the bar you hold down on the handle that stops the engine when released) is engaged. Be sure to bring the bar back all the way to the handle before pulling. This can also happen if your mower blade is dragging in grass or clogged with grass clippings. Move your mower off your lawn to a hard surface. 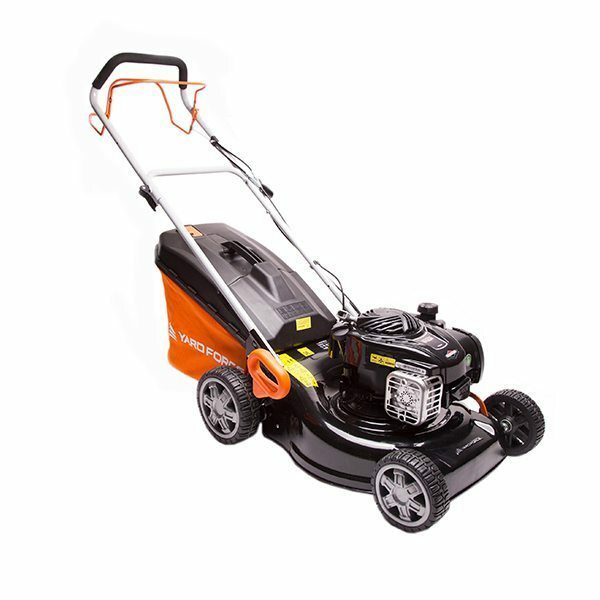 With the mower turned off and the spark plug wire disengaged, clear the underside of the mower of excessive clippings, then resume a safe mowing position, and retry the start procedure.